FEAR! Is it holding you back? Fear-alysis is a word I conjured up to describe a feeling of fear that causes you to stop before you even begin. You may be suffering from this condition without even realizing it. In today’s blog, I’ll share some thoughts to help you cure your fears and start doing those things that scare and/or paralyze you. 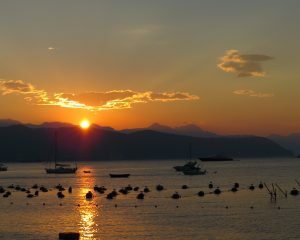 Let these ideas percolate and perhaps you’ll find a new day dawning, just like in this beautiful shot of my first morning in Italy! Are there things you’ve always wanted to do, but lack the confidence? Are there subjects you’re dying to paint, or is there a skill you’d like to learn but you hesitate to try? Are you lacking confidence to undertake that new challenge ahead of you? Are you having an identity crisis, do you feel stuck? Are you feeling a lack of initiative or depression after suffering a trauma, divorce or loss of a spouse? Are you having trouble finding purpose due to empty nest syndrome, or unhappy retirement? Are you afraid that you’re not fulfilling your potential or doing your creative best? Do you feel as if fear gets in your way? If you answered “Yes” to any of these questions you may have an undiagnosed case of Fear-alysis. Take heart! I may just have the cure for you in today’s blog. Fear is a demon in all our lives. 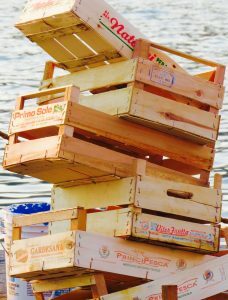 In art and in life, fear can hamper us and even paralyze us. The good news is you don’t have to be tough to overcome your fears…it’s ok to be nervous. It’s even ok to need help. The secret is to somehow find your way around and past the things that scare you in order to move toward where you want to be. I believe you can overcome your fears. I’d like to tell you a few stories from my life that encouraged me and I hope they encourage you. Believe it or not, one of my big fears is that of being alone. This may surprise you, since I often travel by myself. It’s probably why I had so many kids. Perhaps it relates to being an only child. Perhaps it’s because I’ve been immersed in meeting the needs of others all my life. I’ve also been married practically forever. Who knows all the things that factor into that fear? The fact is that being alone scares me sometimes. Today I faced that fear, by beginning a solo trip to Italy. Yup, that’s right! All by myself! 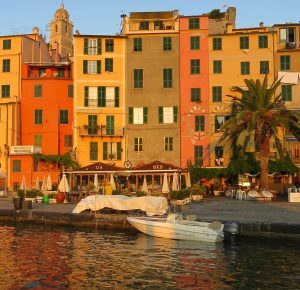 I’m on my way to the beautiful Portovenere, the Cinque Terre (The Five Lands), and Portofino on the Italian Riviera. From there I will head to Venice, and end up once again in my beloved Tuscany. I’ll be gone for a month and traveling for the first two weeks on my own. Many of you might be saying,” I could never do that!” Many of you have said those very words to me. I’m going to tell you a little secret: Even though I’ve done it before, I still have plenty of moments with self-doubt. Wondering whether I can do it, or if it’s even wise to do it. (Especially when I’m hauling my own luggage up and down broken escalators at trains stations!) I’ve learned to accept the fear and move around it. Don’t let your fears determine your actions! Face them head on, repeatedly, until they don’t scare you anymore. A few years ago I met a lovely woman taxi driver in NYC. I wrote about her here in a blog post I wrote back in 2013. 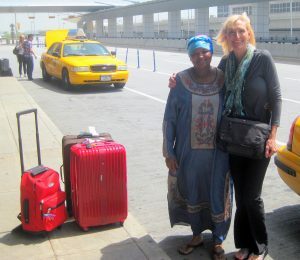 She impressed me with the fact that she’d been a NYC cabbie for approximately 30 years. I’d never met a female cab driver in NYC and I asked her about it. Apparently women cab drivers are less than 1% of the drivers. She was on the job during scary times when serial killers were targeting women and cabbies. That answer made me think. She was so right! We don’t have to be tough. She probably was scared many days on the job, but she didn’t let it stop her. She showed up. She faced that fear repeatedly. She used her head and didn’t let her fear stop her. There was a lesson there for me. Now, whenever I feel like I’m not tough enough for what lies ahead, I try to channel her attitude. You don’t have to be tough, just don’t let fear determine your actions! Be afraid. Face your fears and show up anyway. Lesson #2- This is the story of someone I love. She faced the abrupt loss of her husband years ago. One day, he just up and died. Sadly, I think all of us know someone that has experienced this kind of loss. She was not prepared. She was married over 30 years and he was a “take charge” kind of guy. As a result, she rode in the passenger seat of their relationship much of their marriage. He took care of things…until he didn’t. I saw her panic when he was no longer there to take care of her. I saw her fear manifest in various ways, but I watched her take hesitant steps forward. She eventually turned to people that had the skills to assist her in areas where she needed help. She leaned on them and began to take baby steps forward. These led to bigger steps, that turned into giant leaps. Sure, she was afraid, but it didn’t stop her! She moved forward by facing her fears with the help of others. When you feel insecure or fearful about moving toward your goals, lean on someone whose skills can help you move forward. That brings me to my own story. The big day has finally arrived! I’ve been preparing for this trip to Italy for months. The past few days have been especially intense. Preparing to disengage for a month away with two weeks of solo travel in Italy requires a lot of planning. I am not a natural planner. I can do it, but it’s hard for me. I’m not confident in my ability to attend to agendas and details. It presses my “Fear” button and I get anxious. So, what to do? I tried to take a lesson from my own playbook. #1- Don’t let fear prevent you from moving toward your dreams. Dreaming wasn’t so hard, but the next step involved doing! That’s when lesson #2 is important to remember. #2- Take baby steps toward your goals and get help in areas of weakness. My first baby step was to call my wonderful friend and travel agent, Marianne Levenson of Thomas Hogan Travel in Myrtle Beach, SC. She is great at details and an experienced traveler herself. Her plans cover things I might not imagine. (She is the BESTest!) Check! 3rd Baby Step: There were a million things to do in order to leave for such a long period of time. More details! For this part, I leaned on my new studio assistant, Beth. Her help allowed me to create a “To Do” list and actually get it done! Thanks to her, I not only got ready to go to Italy, but I was able to enter 4 Fall art shows, and ready 15 new paintings to be installed at Aspen Grille in Myrtle Beach. Whew! And Check! Remember: You don’t have to be tough. Tough implies being closed and impenetrable. Finding a way around your fear involves remaining open to opportunity and being open to seeking help. Courage is often simply moving forward in spite of your fear. I’m off to explore and hopefully get some painting in today. 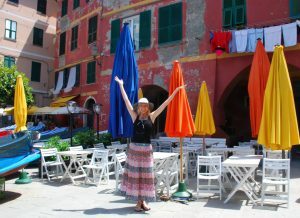 The photos in this post are from my first morning in Portovenere, Italy and they are an example of the pay-off I’m experiencing in facing my fears. 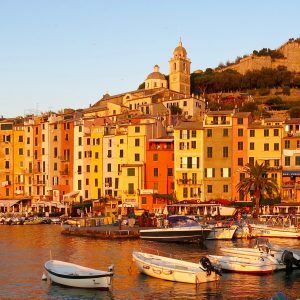 Portovenere is located on the Golfo dei Poeti (The Gulf of Poets) along the Italian Riviera. Gorgeous and totally worth any anxiety I had to work through in order to get here! Whether it’s in art or in life, there’s a pay-off for facing your fears…I promise!! If your heart is calling you to be creative and possibly paint and/or travel, I’d love to help you overcome your fears and start living your dreams. Whether it’s regular classes, intensive workshops, or crazy cool trips, my studio has lots of creative fun YOU can tap into. Subscribe to my blog or newzletter via my website and I’ll keep you up to date on all the options available to you through my studio. I make sure that whatever we do, we have fun. It takes the fear factor out of it. Excellent and very inspiring article Rebecca! Your pictures are beautiful. Enjoy your trip? All the more power to you! I love where you are visiting now. It is one of my favorite areas and can picture so many scenes there. 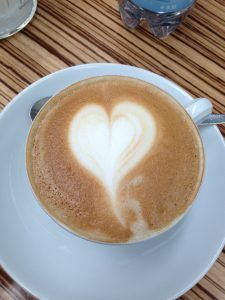 Loved the photos you included in your well written blog. Keep us posted on your journey.